Happy New Year. We at karma hope you have a safe and happy celebration tonight. I urge you to please drink responsibly!!! 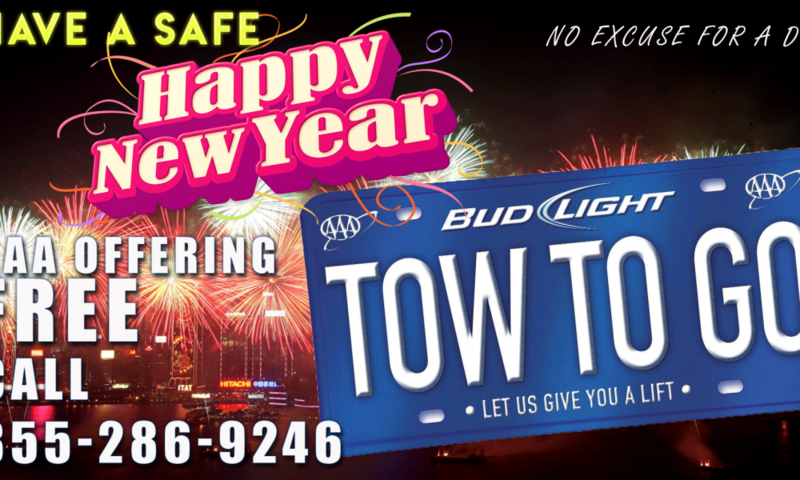 With that said..No matter where you are, who you are with or what you are doing…AAA and Budweiser have the Tow2Go service till Jan 2nd to make sure you get home safe. Have a great time this New Yearand Please Drink Responsibly. Friends don’t let friends drive drunk.